Is there really anything to comment on here? I know I can’t stop laughing that’s for sure. I think there is some sort of vegan message here but I am not sure what it is! HA HA HA HA HA! I wonder what the number of converts would be and the number of those that would stop being vegan if the vegetables all looked like that. I seriously can’t stop laughing at this. I have to admit I am loving my vegan lifestyle! 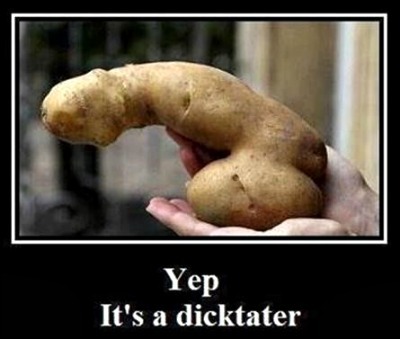 And if all my potatoes looked like that I would love it even more!! !